The United Kingdom’s crushing monstrosity of sludge and doom heaviness, CONJURER, release a new official video for the song “Choke“. It is the lead-in track of the band’s début album, ‘Mire‘, released earlier in 2018 through Holy Roar Records, while the song itself has rather profound origins. “‘Choke’ is about the gutter press and the toll it takes on people in the public eye. It’s commonplace now for people of a high profile to be swarmed and harassed by cameras and microphones at every turn, invading their everyday lives, and such occurrences often have long-lasting and damaging effects. “After watching the documentary, “Amy”, it became very clear that media pressure and intrusion among other things became a major contributor in the death of a very fragile and gifted human being. Seeing how cruelly the media capitalize on people’s struggles for their own gain was sickening; how the press soon turned to quiet solemnity after years of exploitation and ridicule on their part struck an angry and resonant chord with us. 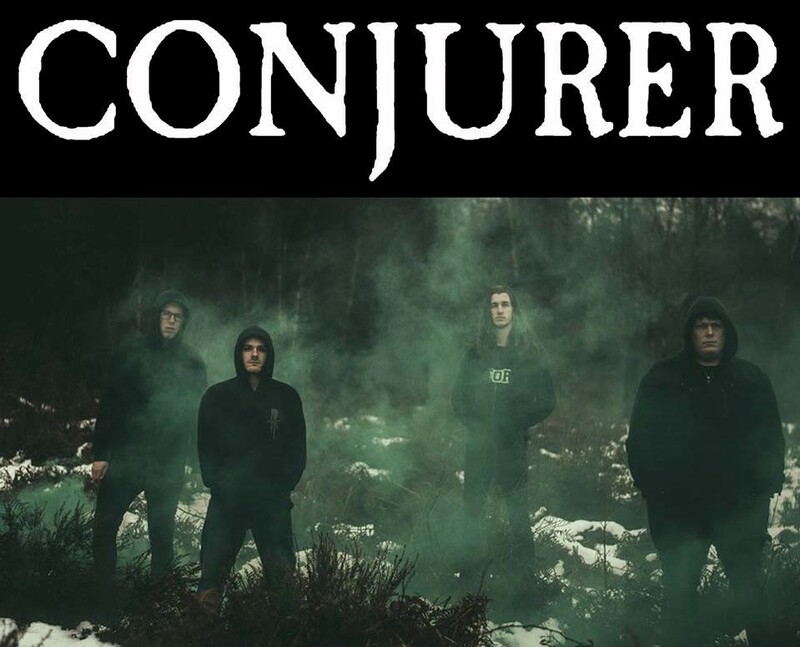 The new video arrives a week prior to CONJURER‘s upcoming UK tour supporting CONAN. Those dates can be found below.